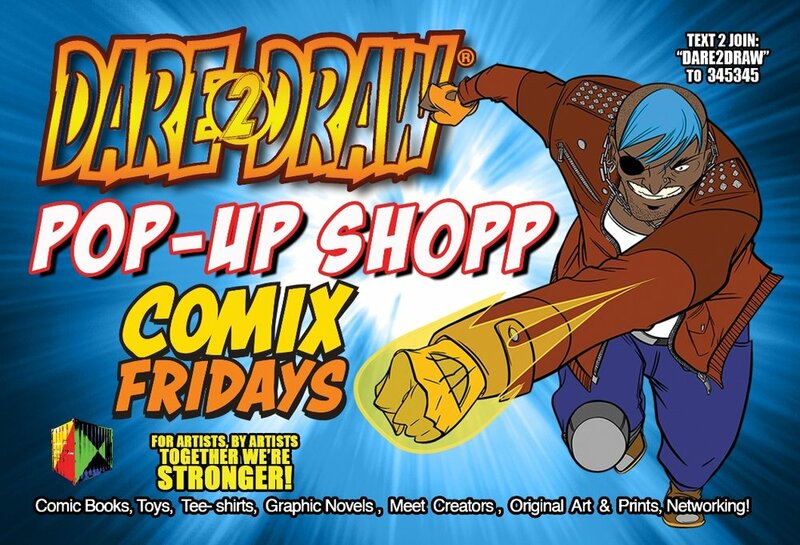 Comix Pop-UP ShopP Happening in Harlem! It’s spring - yay! That means the comic con season is gearing up and I’ll be posting about more events, like this one in Harlem this Friday! This is a comic “happening” that’s growing from Dare2Draw, a nonprofit that’s facilitating mentoring and networking opportunities for cartoonists of all levels. I’ve been to some of the Dare2Draw events before and if you want to be in the comics SCENE, this is a great place to start. Creators, get to know Charles and he’ll hook you up with a table - we want more creators here. The table is free and 10% of profits go to Dare2Draw. If you’re unfamiliar with the area, here’s a pic - look for the colorful murals under the train on the street level! Hope to see you there! Surprise! Jersey Shore Con THIS SUNDAY! SURPRISE! After many years, I’m doing a Jersey show again! 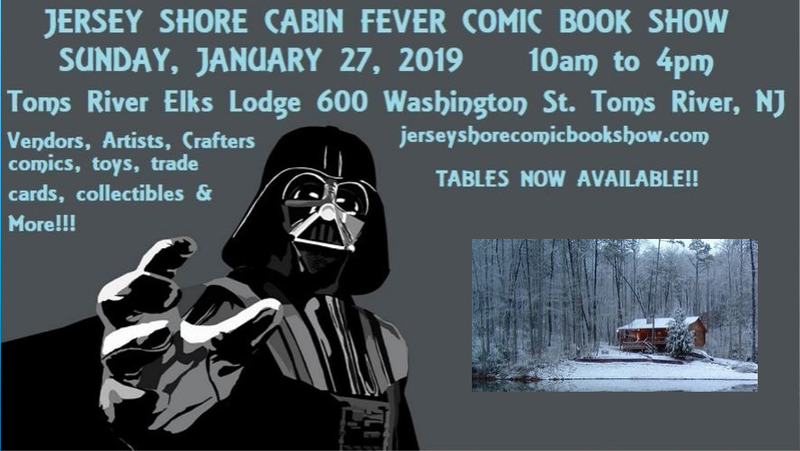 If you’re in the NJ area and have missed me, please stop by the Jersey Shore Comic Book Show this Sunday January 27th in Toms River! Apparently it’s “the biggest little con on the east coast,” which reminds me of how Ann Arbor is like a big town but small city. 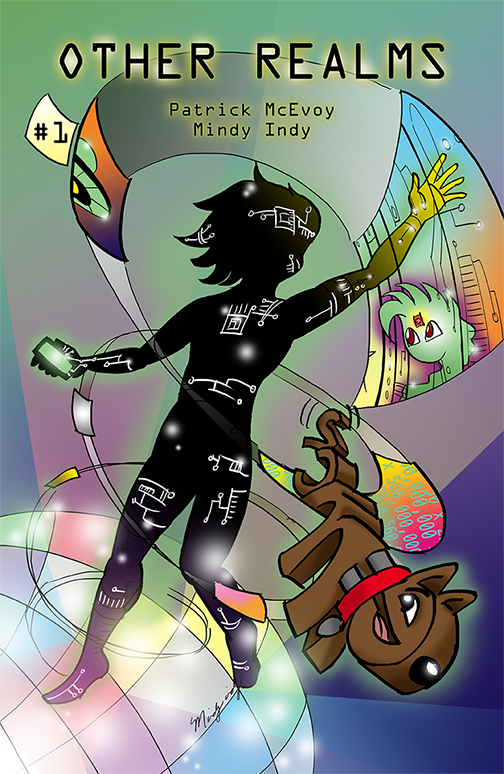 I’ll be taking sketch commissions as always and you can grab a copy of Other Realms, my newish sci-fi comic. It’s 10a-4p at the Elks Lodge: 600 Washington St.
Hope to see you there for the first comic con of 2019! Philly Zine Fest This Sunday! I’m exhibiting in Philly Zine Fest again! I did it once a few years ago and am excited to return! It’s always great to do shows that just focus on zines. They’re affordable to exhibit in without relying on sketch art. I like doing sketch art, but creating stories is why I love being a cartoonist. One day I’ll have to spend more time in Philly though - it’s just been quick day trips both times. The life of a busy entrepreneur! Diversity Comic Con this THURS & Biz Basics NEXT WED! There’s a new con in town: Diversity Comic Con at FIT! Celebrating diversity in the comics world! It’s this Thursday 10/11, so if you missed NYCC this is perfect for you - their panel lineup is all the best of what NYCC should have had, such as “breaking in” and “self-publishing.” Since cosplay has had such a boom, FIT is the perfect venue. It’s FREE but you must get a free eventbrite ticket. I’ll be exhibiting at table 41 in the corner near the stage, along with many other diverse comic creators. In other news, the next Business Basics for Freelancers class is NEXT WEDNESDAY October 17th from 6-9p at Anyone Comics! I promoted this class like crazy at NYCC, and will at Diversity comic con, so don’t wait til the day before to get a ticket if you’ve been considering it. People always ask “will I have other classes?” and I try to have them once a month, but if you can actually make this time, go for it, because my classes may start to fill up! Thanks! Covering Trump: Steve Brodner Edel Rodriguez in Conversation, Saturday 2:00PM / Helvetica Room. 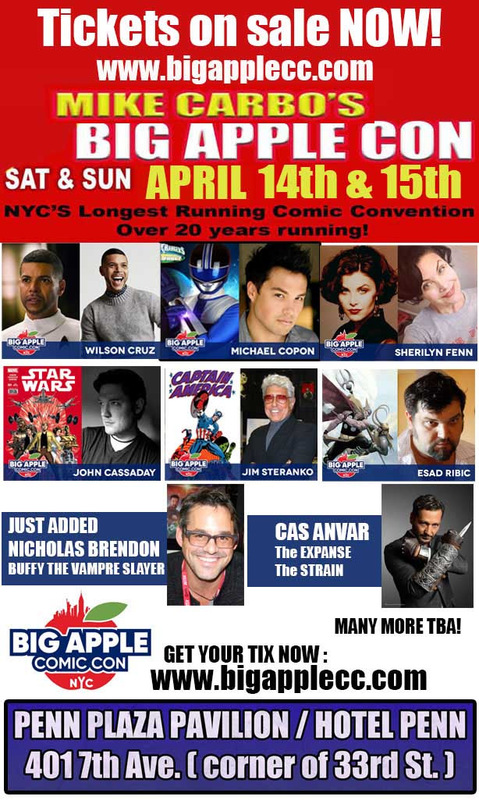 Big Apple Con THIS WEEKEND! In other convention news, I will NOT be tabling at Baltimore Comic Con this weekend. I'm not too sure how successful the show will be considering it's Labor Day weekend. Conventions are growing due to the large influx of new fans due to all the super hero movies. 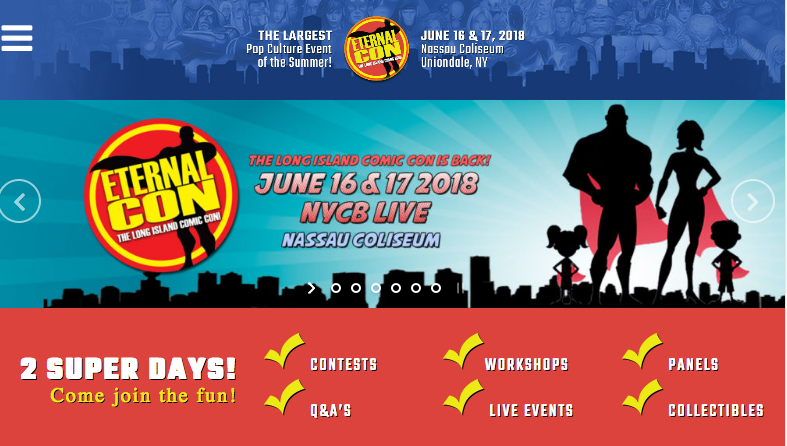 I know the hard-core fans will always show up for conventions, but most new fans probably will not give up barbecues, parties, and other vacations to go to a comic convention. I'll have to ask other tablers how it goes. If you live in Baltimore and would like a sketch from me, I can totally still do that! 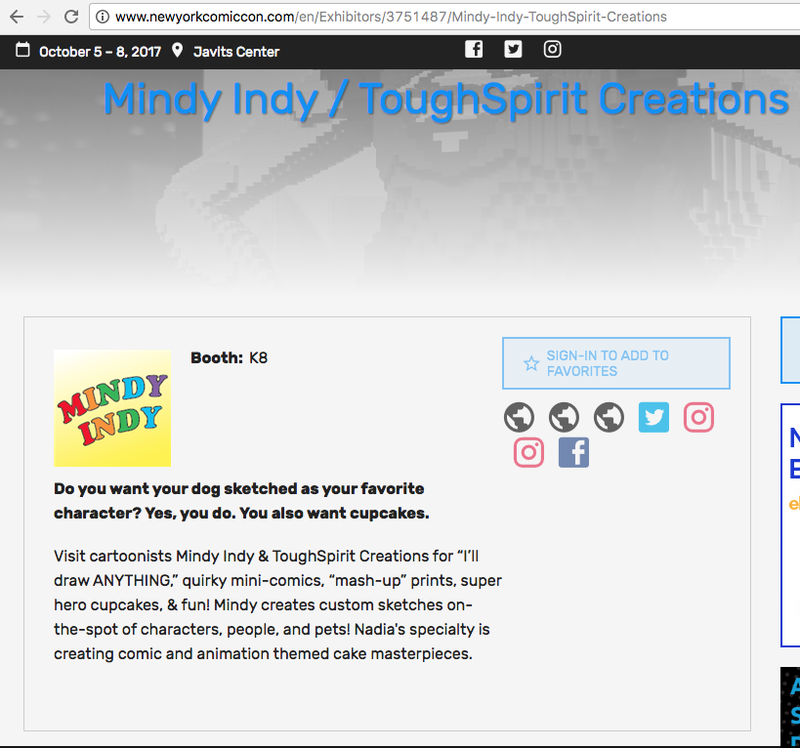 Please email me at mindy@mindyindy.com with a description of the sketch you want and I can mail it to you. Keep in mind I exaggerate the Daily Misfortunes, haha! I do spend a lot of time at the post office though, even in the daytime during off-peak hours. I'm tempted to just throw this whole bag out. 1. Pick the TOP 5 most important people you met and get back to them the week after the event. How you define "important" will vary based on your priorities and goals. Your criteria could be people from major companies, people most likely to lead you to a job, or just new friends you felt a strong connection with! 2. Pick the NEXT 5 most important people and get back to them in the following month. Beyond a month and you risk them not remembering you. A month seems like a long time, but a solid follow-up email requires more work than you'd think. For my follow-ups, first I review all notes I took when I met Person A (if you don't take notes, START!). These notes usually include recommendations of people and companies Person A said to check out. Next, I check out said peeps/companies online, which can be like going down a rabbit hole. One cool link leads to another, and before you know it, hours have gone by! Make sure to keep track of your time to not get too caught up in this research step, but have enough knowledge to mention something about it in your follow up email to Person A. They'll see that you're more serious about taking their advice. The next step after following up is... will you actually DO the advice those top 10 people gave you beyond just checking out so-and-so? Granted, take all advice with a grain of salt - you may even get conflicting tips. Pick what advice feels right to you. Make a list of specific steps you can do to improve your artwork (or any other skill!) and begin implementing them. All too often in the past I've just let this last step go, but it's important to moving forward in my career. That could be a whole other blog topic of project organization and implementation, but that's for another time! Oh yeah and that note on the bag is an idea I had one time to scan all the cards. It's a project on my "rainy day" to-do list. Considering following everyone on social media, or just throwing it out. This is a lesson that I've heard on a few productivity podcasts: Sometimes you have to say NO to possible opportunities that come along that are lower priorities, so you can say YES to your top priorities and live your life the way YOU want to. This prevents you from doing a zillion things that are "just ok" and getting burnt out, saving your energy for the BEST things. I know this NO concept sounds weird, as we artists tend to say YES to everything, especially when first starting out in our careers. This is good up to a point, where you start to get a snowball effect of projects. It's like an All-You-Can-Eat Buffet where you see a smorgasbord of all these different delicious foods, and you pile your plate really high. But then after you eat for awhile you realize there's no possible way to stuff everything into your stomach in one sitting! The same thing happens with art projects, gigs, and etc: you literally cannot do every single thing on Earth that seems like a good opportunity, or has a slight chance of opportunity/doing something just for "the exposure" (we've all heard that load of crap before). You have to take a good hard look at everything on your plate and turn some things down for your sanity and health. For example, when I first started exhibiting in comic conventions, I'd travel sometimes 2.5 hours away for a whole day trip to very small conventions or shows with low attendance, where I didn't end up making much profit - sometimes I'd lose $. But as I've progressed in my career, and now that I have a solid 3 ongoing projects with consistent pay, I realize I don't need to exhibit in every single convention. After much consideration, I've prioritized either doing regular freelance work on the weekends, doing something fun, or just relaxing! I've learned the hard way that I need to make R&R a priority, otherwise I catch colds from being worn down. New Yorkers especially may think there is no time for R&R, but you have to MAKE time by using the power of NO. By the way, don't worry about missing me at the large conventions like NYCC, Boston CC, Baltimore CC, C2E2, Motor City (coming up in May!) - I still intend to exhibit at those!